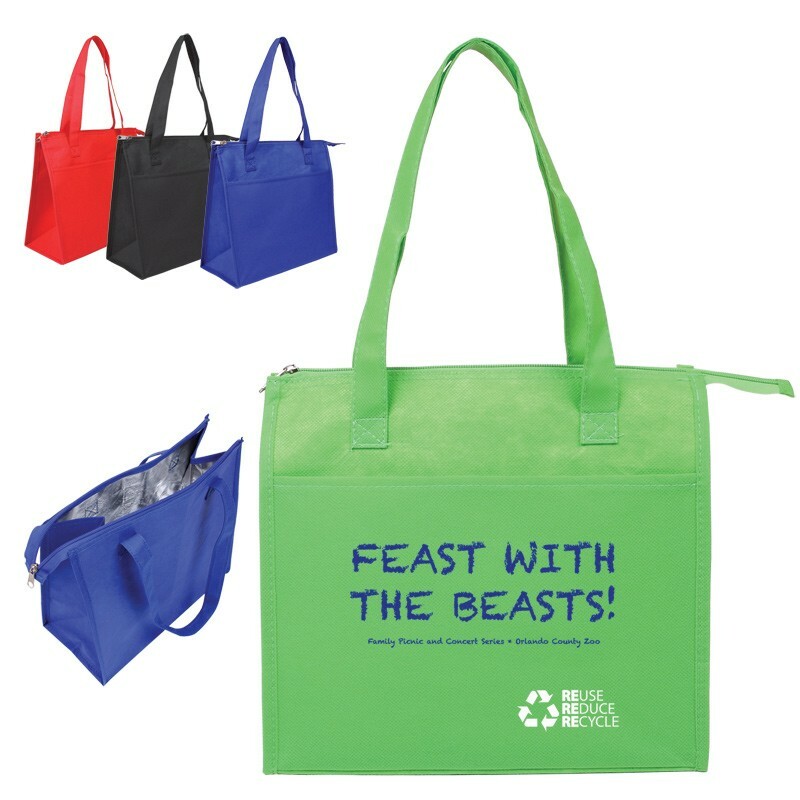 Our insulated triangle tote bags are made with durable and eco-friendly 80 GSM polypro. material. Unzip the bags to find food-safe aluminum foil to keep your perishables and drinks cold while grocery shopping or on a picnic. As if these features weren't enough to make this custom tote bag an absolute steal, the bags feature a flat-front storage pocket.